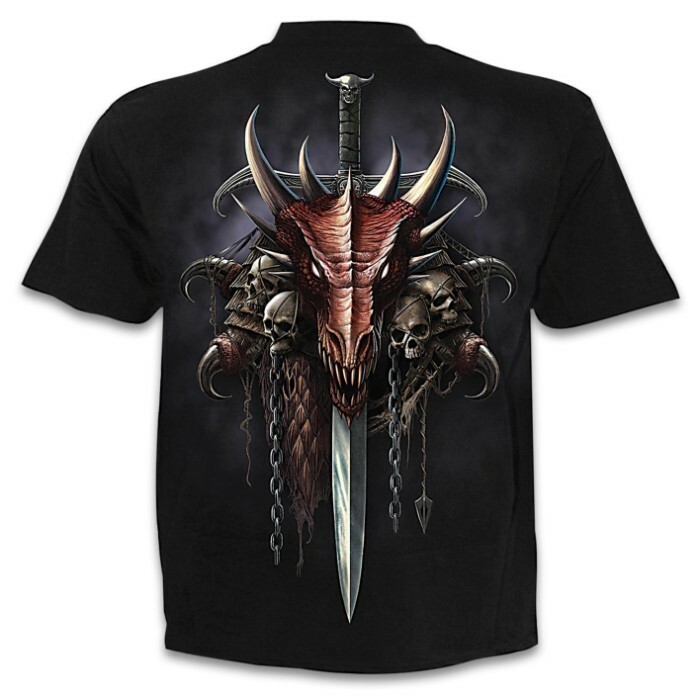 Draco Unleashed Black T-Shirt - Top Quality 100 Percent Cotton, Original Artwork, Azo-Free Reactive Dyes | BUDK.com - Knives & Swords At The Lowest Prices! A village beneath the blanket of night is torn asunder by the furious vengeance of a rampaging dragon, her flames engulfing the buildings and rendering the inhabitants to all but ash. The detailed, original artwork is printed on high quality, 100 percent cotton jersey material using skin-friendly, Azo-free reactive dyes. 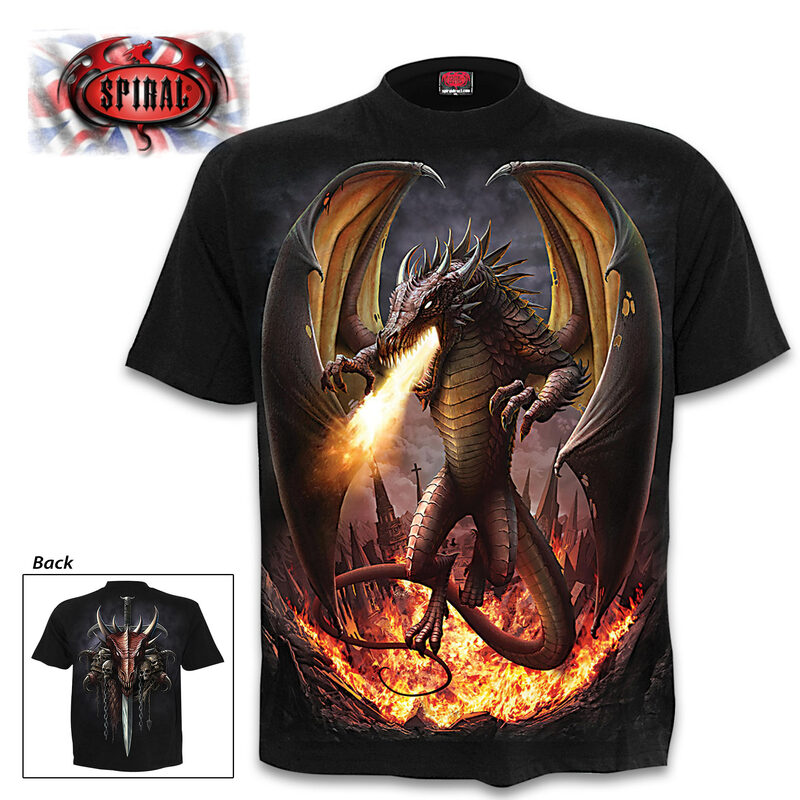 There is an incredibly vivid design on both the back and front of the black, short-sleeved shirt. Add this captivating t-shirt to your closet and you’ll find yourself wearing it all the time!